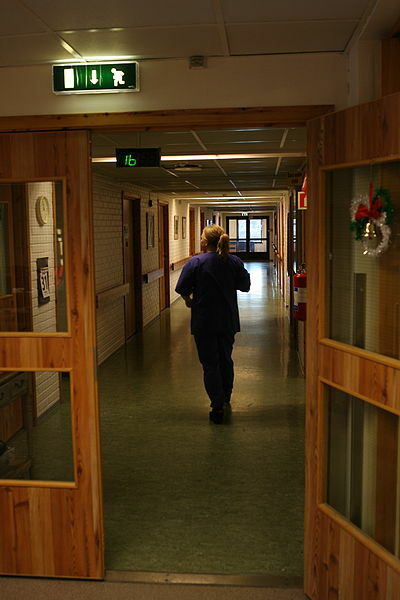 Nurse, Elderly Home Corridor. Wikimedia Commons. 31 December 2012. Almost 300 nurses in the Halifax region of Nova Scotia walked off the job on Tuesday in a one-day wildcat strike, although those working in cancer care, emergency and dialysis units, and veterans care remained at work. 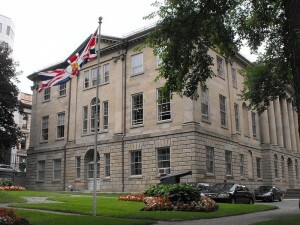 The ongoing dispute between the Nova Scotia Government and General Employees Union (NSGEU), which represents more than 2,400 nurses and nearly 35,000 other healthcare workers, and their employer, the Capital District Health Authority, is twofold: the union is asking for an increase in nurse-to-patient ratios while also challenging the controversial “Bill 37.” The bill, also known as the “Essential Health and Community Services Act,” seeks to deny nurses, paramedics, and 911 operators the right to strike until an essential services agreement is put into place. Such an agreement would see senior nurses pulled from their duties to negotiate the terms of “essential services” with employers for several months before any collective bargaining takes place. The striking NSGEU workers were ordered back to work on Tuesday, and the union has announced that legal strike action is scheduled to begin on Thursday morning. The Nova Scotia Nurses Union (NSNU), who represent an additional 6500 nurses in the province, are not in a position to strike but have declared their shared opposition to the planned legislation. With these issues in mind, as nurses and other healthcare workers are poised to strike and the provincial government seeks to limit their right to do so, we have an opportunity to briefly explore the history of healthcare and nurses unions in Canada and to reflect upon the continued importance of organized labour in fighting for the rights of Canadian workers. Nurses, Toronto East General Hospital, 1955. Wikimedia Commons. 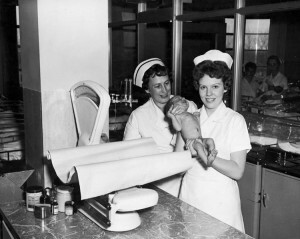 The major demand of the nurses in Nova Scotia, a higher nurse-to-patient ratio, reflects the emergence of contingent or flexible work in the so-called “new economy” of the late 20th century. In another context, Anthony Winston and Belinda Leach have examined several Ontario industrial firms to reveal how “flexible employment,” characterized by multi-skilled labour, team-based managerial strategies, and “individual empowerment” within the workplace, does not provide levels of remuneration, workplace benefits, or employment security that are comparable to other workplaces that do not employ these strategies. Or, as historian Bob Russell describes it, Canadian workers have been forced to “do more with less, for less.”  While these studies deal with heavy industry, parallels can be drawn with the experiences of nurses and other healthcare providers in Canada. Certainly, the scholarly literature reveals some of the benefits of increased nurse-patient ratios. One 2013 article in the Annals of Internal Medicine, Paul Shekelle describes how “the strongest evidence supporting a causal relationship between higher nurse staffing levels and decreased inpatient mortality comes from a longitudinal study in a single hospital that carefully accounted for nurse staffing levels and found decreases in mortality of 2% to 7%.” Shekelle does caution, however, that more research in this area is necessary. Premier McNeil, on the other hand, argues that no other provinces in Canada have implemented such a plan and, ostensibly, Nova Scotia should not be the first. The province’s decision to attack healthcare workers right to strike is symptomatic of a broader anti-labour shift that has emerged under neoliberalism since the 1980s. In demanding that the NSGEU submit to essential services negotiations, the Liberal government is undercutting the union’s ability to strike in a timely fashion. 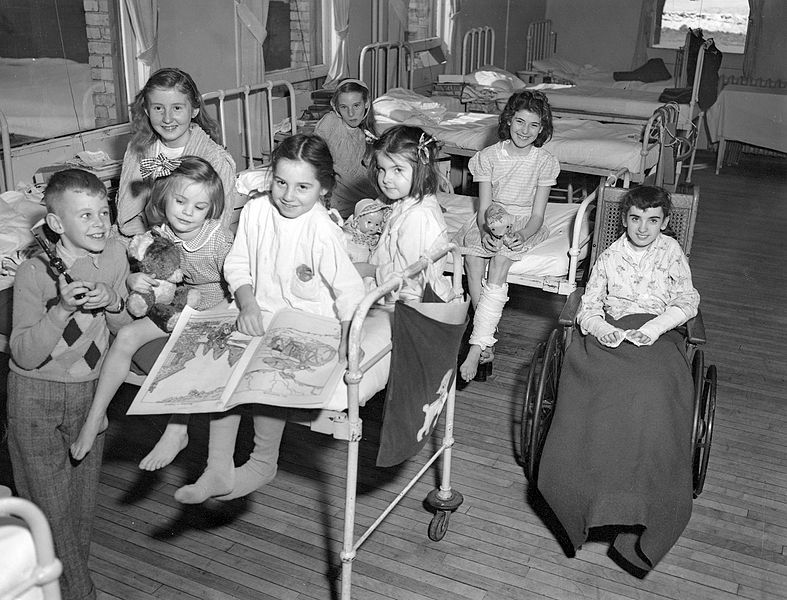 They should be aware, though, that Canadian nurses have not historically shied from direct action; in 1969, before New Brunswick nurses had access to collective bargaining and the right to strike, nearly half of the province’s nurses resigned en masse in protest of low salaries and poor treatment. The dispute was settled after nine days with a substantial pay increase for the nurses. In 1975, the province’s nurses undertook a “sick-in” campaign whereby they began calling in sick, lobbying the province, and protesting in the streets to draw attention to pay inequity. In neutering the right to strike, the Liberals open the door to similar types of direct action. While this decision could prove a political misstep for the provincial government, Nova Scotia’s healthcare providers and patients in an already-understaffed system are certain to bear the brunt of this attack on workers’ rights. Kealey, “No More ‘Yes Girls’: Labour Activism among New Brunswick Nurses, 1964-1981,” Acadiensis 37, 3 (Summer / Autumn 2008). 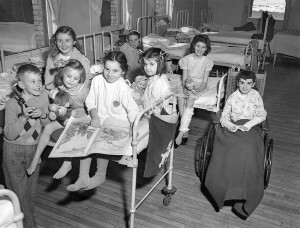 Nurses in Quebec had organized much earlier, creating “l’Alliance des infirmiéres et infirmiers de Montréal” in 1946. In British Columbia, the nurses’ association was recognized as a collective bargaining agent in 1946. See Sharon Richardson, “Unionization of Canadian Nursing,” On All Frontiers: Four Centuries of Canadian Nursing, eds. Christina Bates, Dianne Dodd, and Nicole Rousseau (Ottawa: University of Ottawa Press, 2005), 215-17. Anthony Thompson, “The Nova Scotia Civil Service Association, 1956-1967,” Acadiensis 12, 2 (Spring 1983), 105. Anthony Winston and Belinda Leach, “Contingent Work, Disrupted Lives: Labour and Community in the New Rural Economy (Toronto: University of Toronto Press, 2002); Bob Russell, More With Less: Work Reorganization in the Canadian Mining Industry (Toronto: University of Toronto Press, 1999). Renée Torgerson, “Not There Yet, Improving the Working Conditions of Canadian Nurses,” Prepared for Office of Nursing Policy, Health Canada (June 2007), 8. Paul Shekelle, “Nurse-Patient Ratios and as a Patient Safety Strategy: A Systematic Review,” Annals of Internal Medicine 158, 5 (2013). Kealey, “No More ‘Yes Girls,” 9-10.